With over 30 years in television and over 70 documentaries broadcast CCV has a wealth of film making experience to bring to your project. Setting up for 'Sandbox' a late night discussion programme that was broadcast live on the Migrations web site during the Llawn04 Festival. 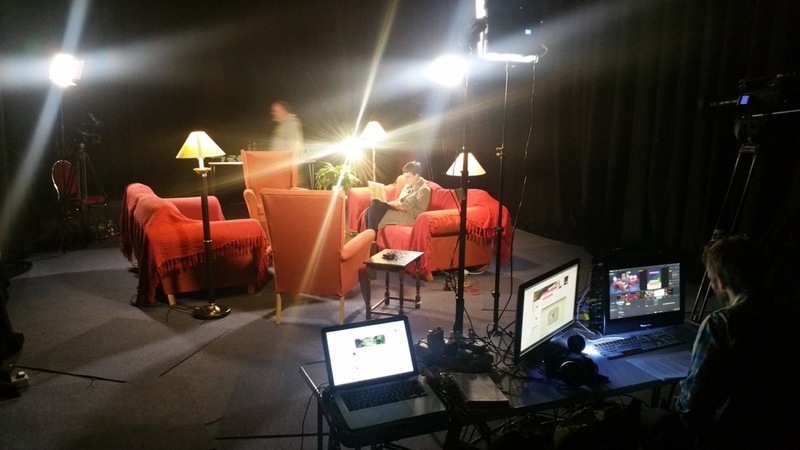 Culture Colony Vision has three High Definition cameras, three edit suites and a live switcher as well as lighting, audio recording and GoPro equipment. This makes us a flexible self contained unit that can adapt to any number of video recording requirements without hiring in equipment at commercial rates. We are well aware that the creative industries have to work within extremely tight budgets and that is why we operate with a very flexible fee for our services. It is always worth having a chat with us about your project, what you'd like to achieve and what is available for video documentation in your budget. 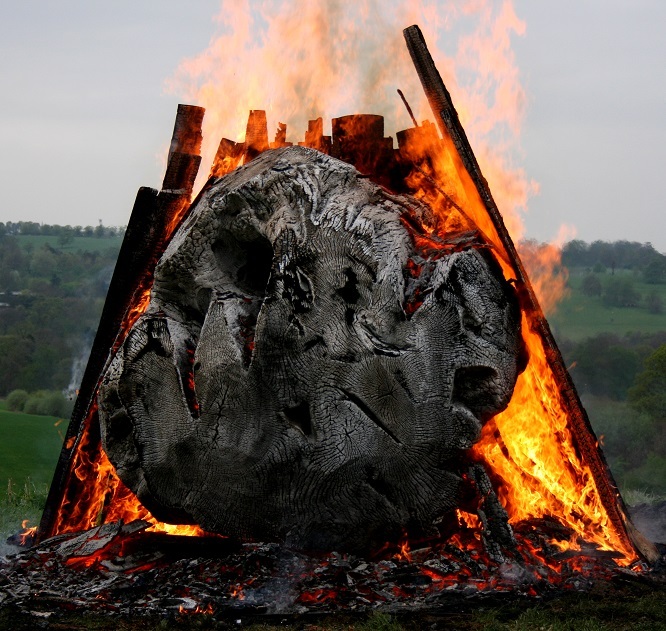 We have worked with many artists over the years, individually and as artist groups, making films that best represent them and their work to be shown to audiences on-line, in galleries and on television. We are now developing opportunities for artists to make films for sale as downloads through the shop on this web site. This offers artists the potential of a new income stream. 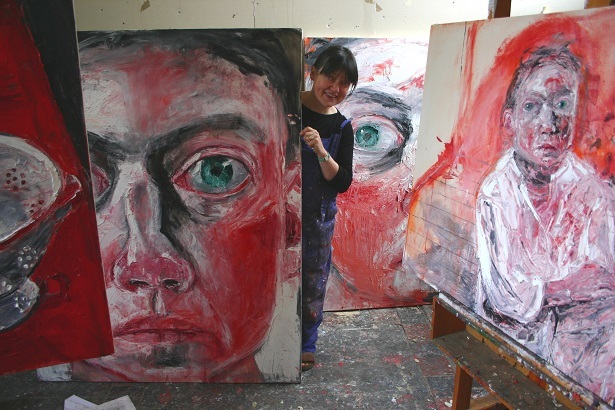 Shani Rhys James in her studio. We also work with galleries and large cultural organisations to document their presentations, talks, discussions and conferences. And now, through the CCLive facility on this web site we can broadcast events live to as big an audience as possible on-line. This also has the potential of an income stream for the event and organisation as access to view the live on-line broadcast is ticketable.